Tomorrow sees the launch of the latest place for social enterpreneurs to meet, work together and inspire each other – The Hub, King’s Cross in London. 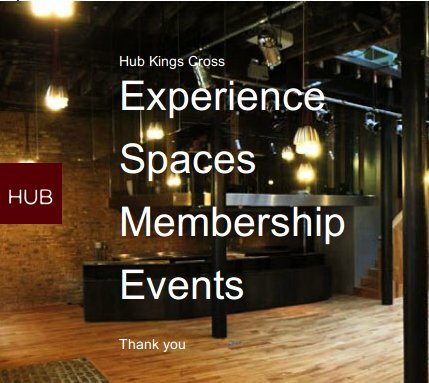 Based on the already successful venues in Islington and seven other locations around the world, the King’s Cross venue promises to be a focal point for ethical entrepreneurs, providing work and meeting space, a members’ club and venue. … ideas to be hatched, knowledge shared, connections made, ventures launched, and legacies to be born. In a time of crisis and opportunity, Hub Kings Cross is being launched as a 21st century ‘reform club’ bringing together those that are proving another world is not just possible, it’s happening. A number of well known social enterprises have already benefited from involvement at The Hub including Onzo, the energy smart meter company and sustainable carpet company Interface. The social enterprise scene is certainly one of the most vibrant in the UK right now where business is concerned. It will be interesting to see whether it becomes the major entrepreneurial impulse in the face of the current economic turmoil.